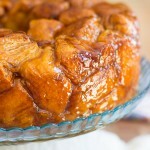 A collection of the BEST easy monkey bread recipes! All the monkey bread recipes you will ever need, and EASY, at that. For all occasions, and for all ‘flavor preferences’. You like fruity stuff? I’ve got monkey bread recipes featuring fruit. Breakfast monkey breads? Got ’em, both sweet AND savory. Like, one of these has bacon and eggs in it! 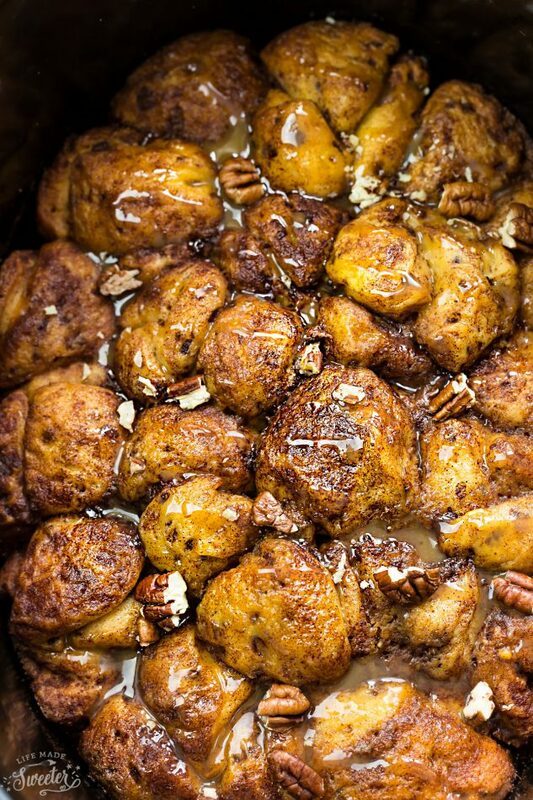 Want super over-the-top, ultra-decadent, sinful, and ridiculous monkey bread recipes? Ones that have candy bars stuffed into every bite? Or are oozing with caramel and chocolate? Drenched in a peanut butter glaze, and nestled with Reese’s cups? Those are here too. 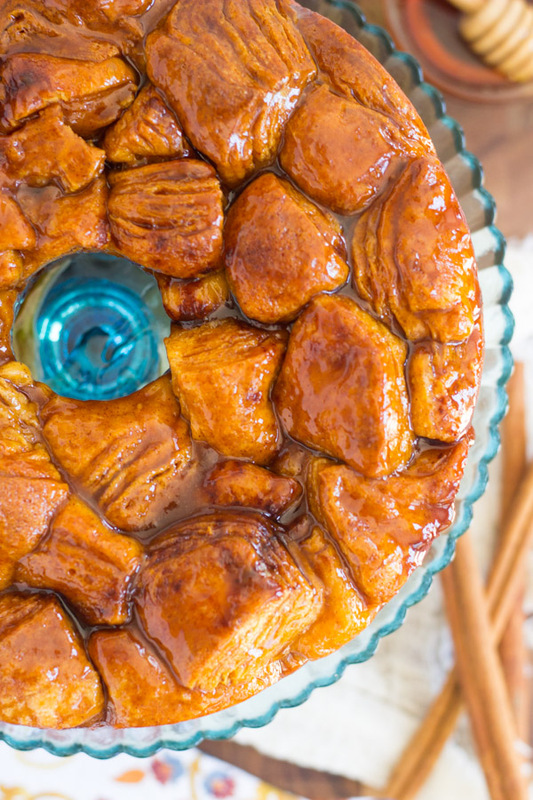 What about a monkey bread recipe for fall/Thanksgiving or Christmastime? Yes, and yes!! 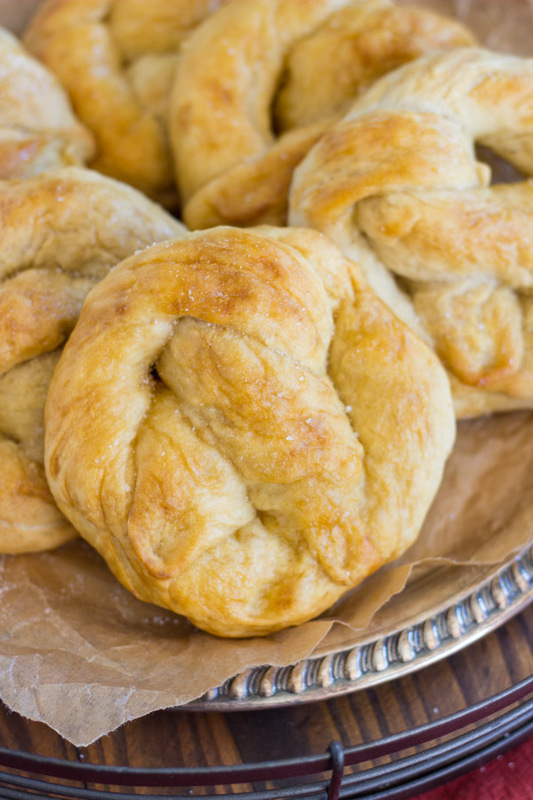 Even savory… did you know that pretzel monkey bread exists? That is damn genius. Pizza monkey bread is a close second. I’ve got you covered. 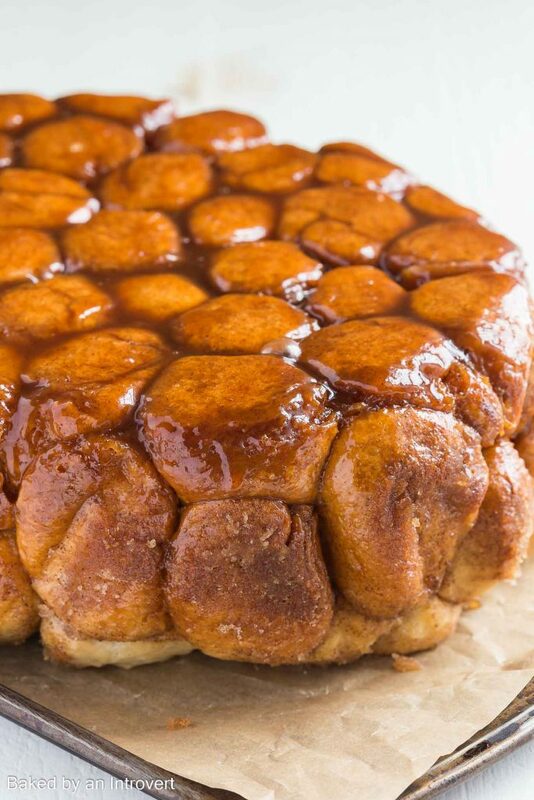 I researched and dug around for the BEST and most magical easy monkey bread recipes that you NEED in your life, and here they are. 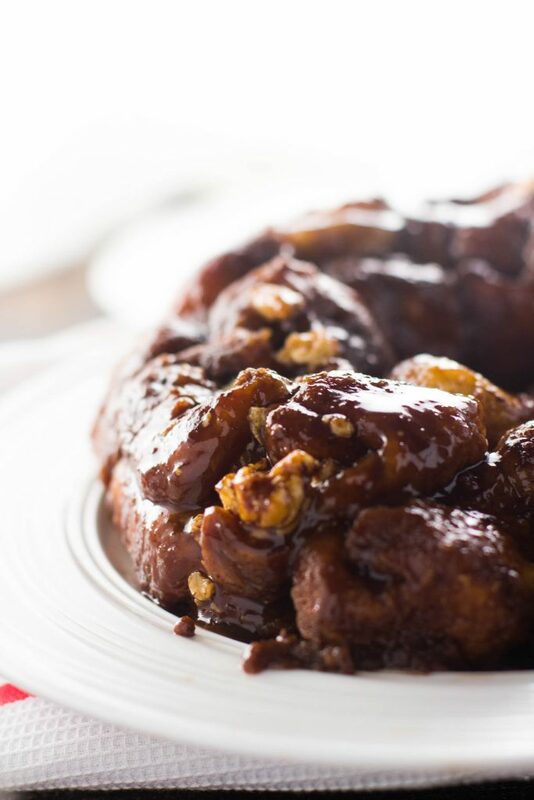 Honey Cinnamon Monkey Bread: Sweet, sticky, short-cut monkey bread made with flaky honey-butter biscuits, and drenched in honey-cinnamon syrup! 10 minute prep! This needs to accompany your morning pot of coffee. 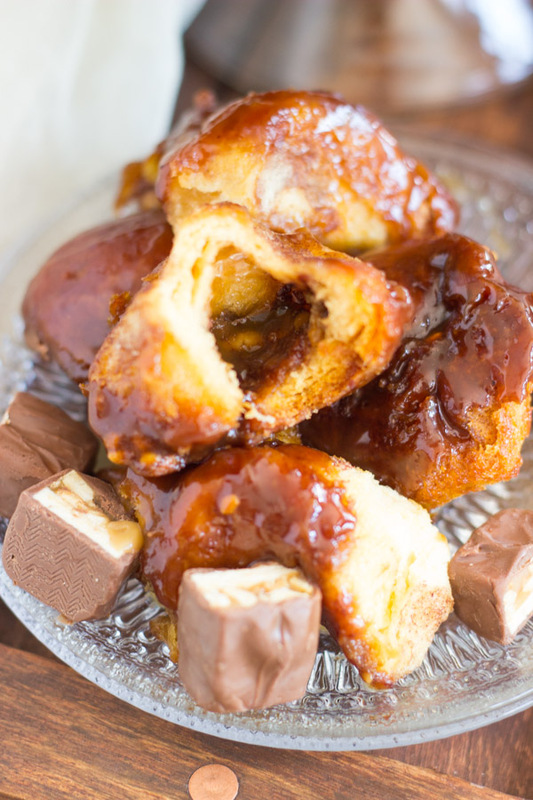 Slow-Cooker Monkey Bread: A classic! 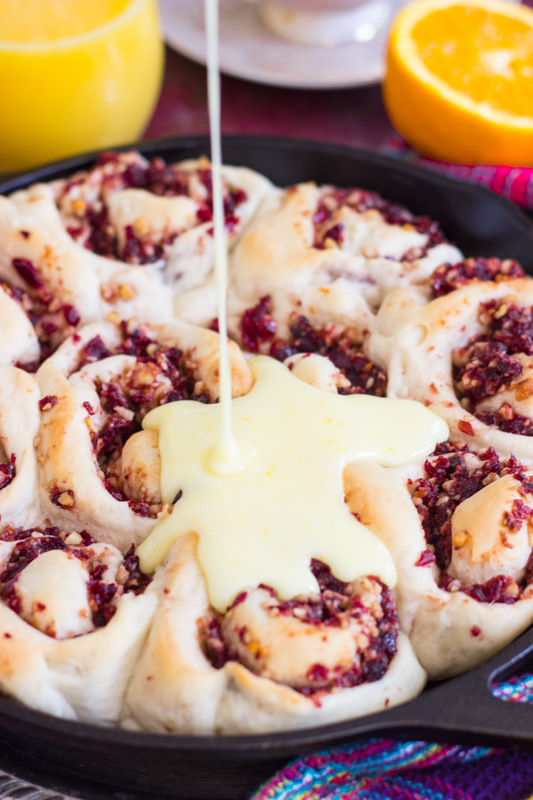 It’s still quick and easy to prep because the dough proofs in the slow-cooker. 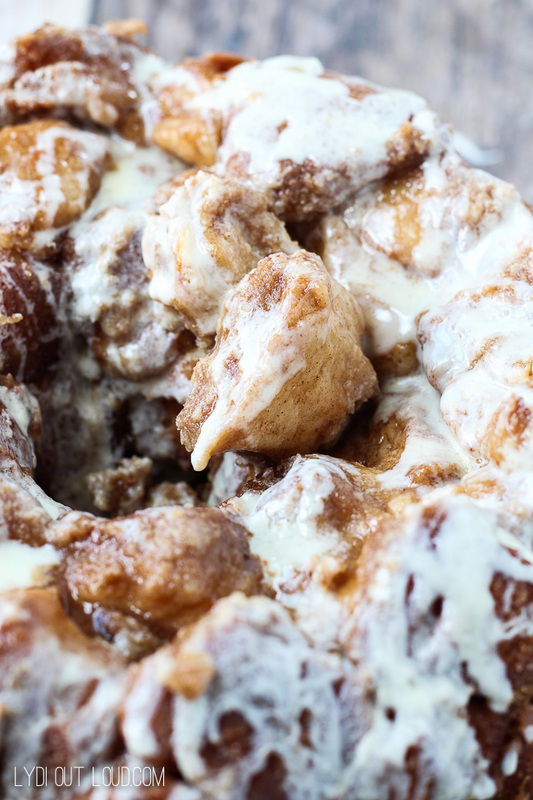 Everyone needs this staple monkey bread recipe in their arsenal. 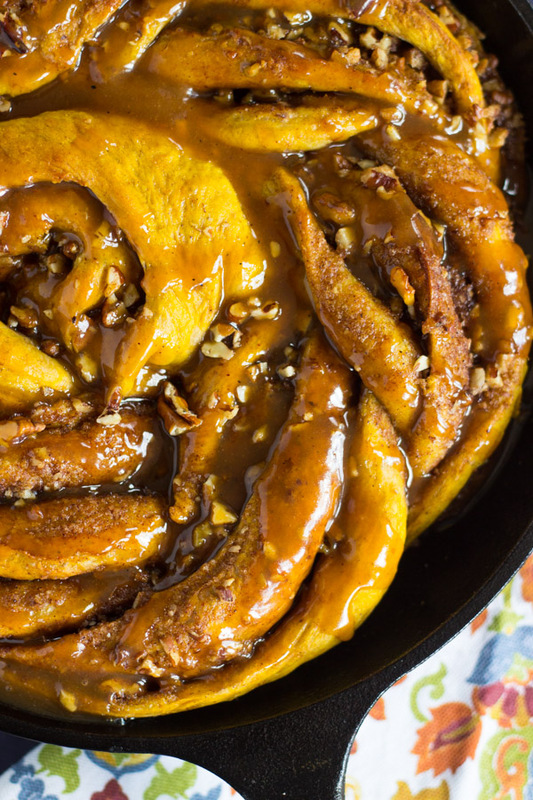 Praline-Pecan Monkey Bread: Stunning. I can’t stop staring at the smothering of syrup on this bread. 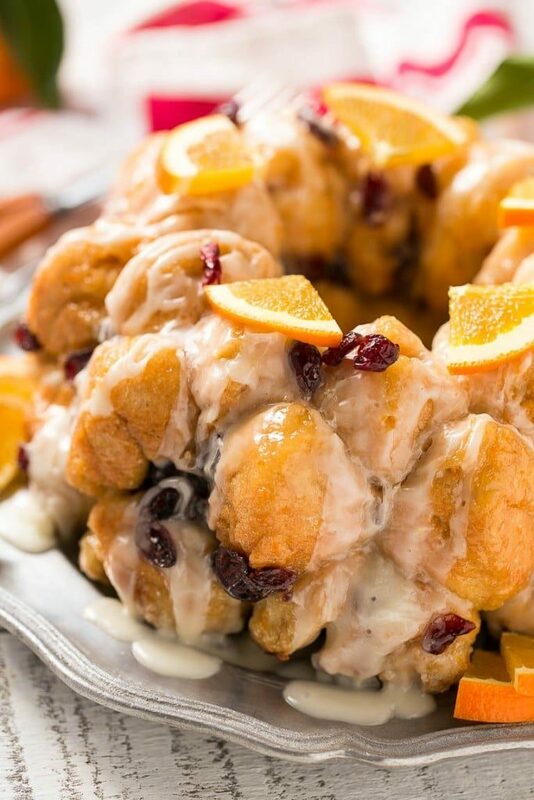 Mimosa Monkey Bread: It’s made with Prosecco! It’s boozy! 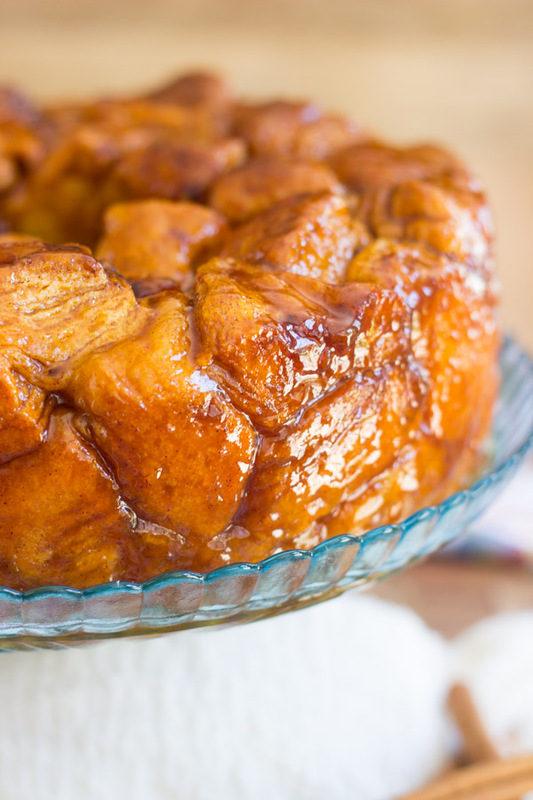 If there’s a better brunch monkey bread, I don’t know what it could be. 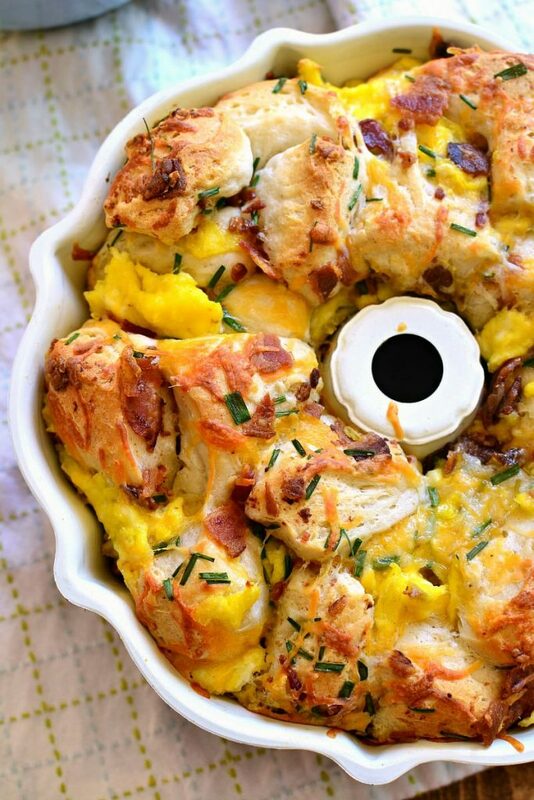 Bacon Egg & Cheese Monkey Bread: Amazing, right? And drizzled with a sour cream & dijon sauce. So fantastic. 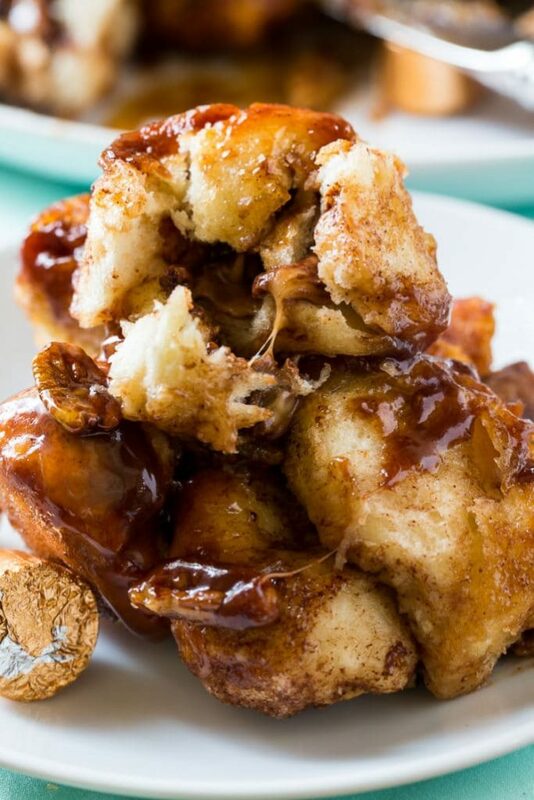 Banana Bread Monkey Bread: Like bananas foster over soft pillows of yummy carbs. 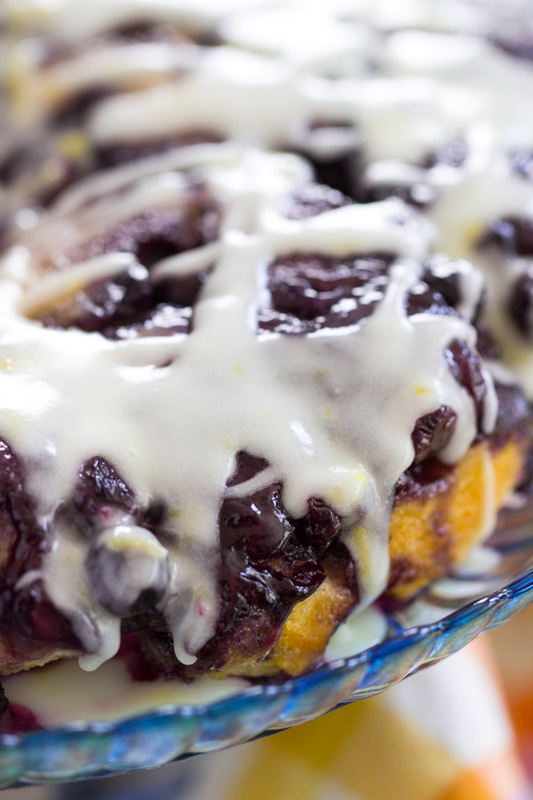 Lemon Blueberry Pull-Apart Bread recipe: Each soft, squishy piece of dough is rolled in butter and lemon-sugar, then buried with fresh blueberries, and drenched in lemon glaze! There are not enough heart emojis. 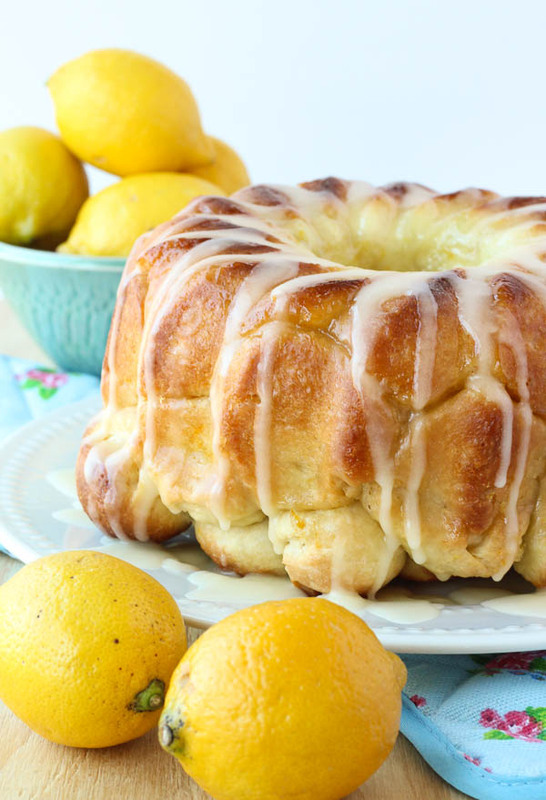 Glazed Lemon Monkey Bread: Lemon lovers – this is for you!! 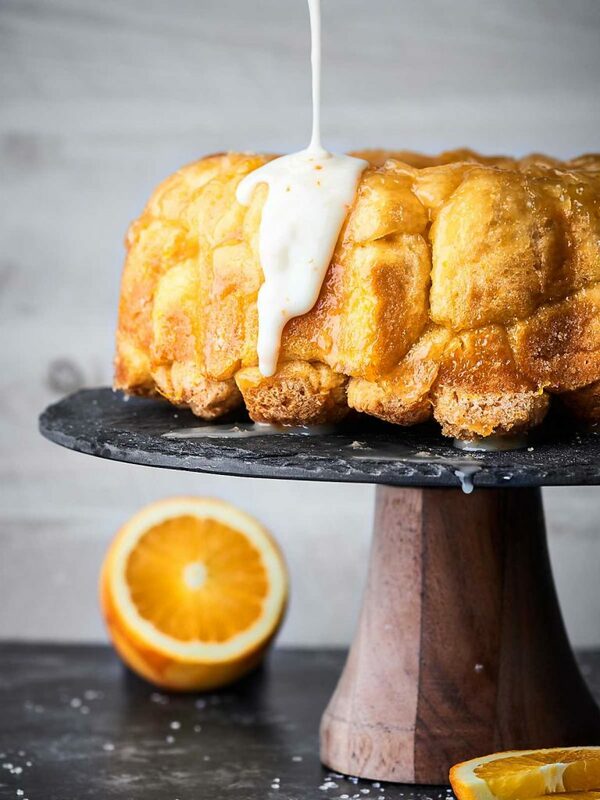 Sweet Orange Cinnamon Pull-Apart Bread: You know those insanely delicious orange sweet rolls in a can? I’m not knocking those things, but a homemade version? Hiiiiiii. 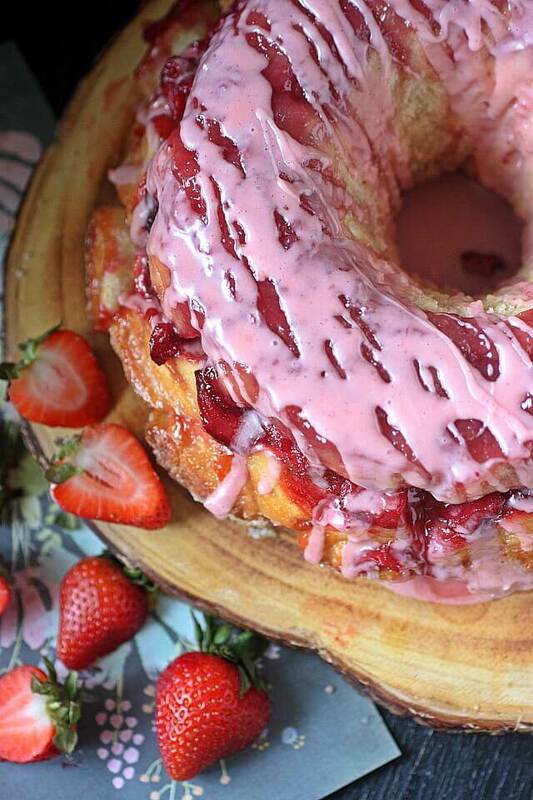 Strawberry Monkey Bread: Well, this takes a little longer to make because the dough is homemade, but it’s still easy, and do you see it? Oh. my. goodness. Those sweet, macerated strawberries are bliss. 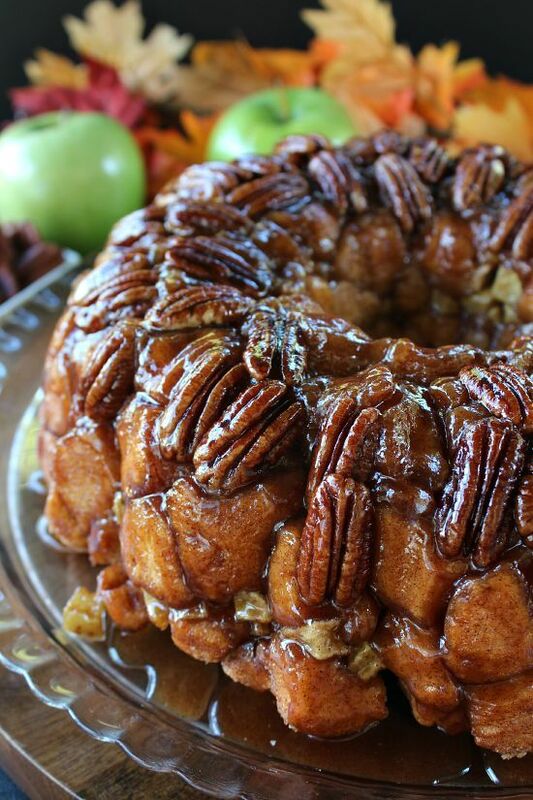 Apple Pecan Monkey Bread: So glazed and sticky, it actually glistens. 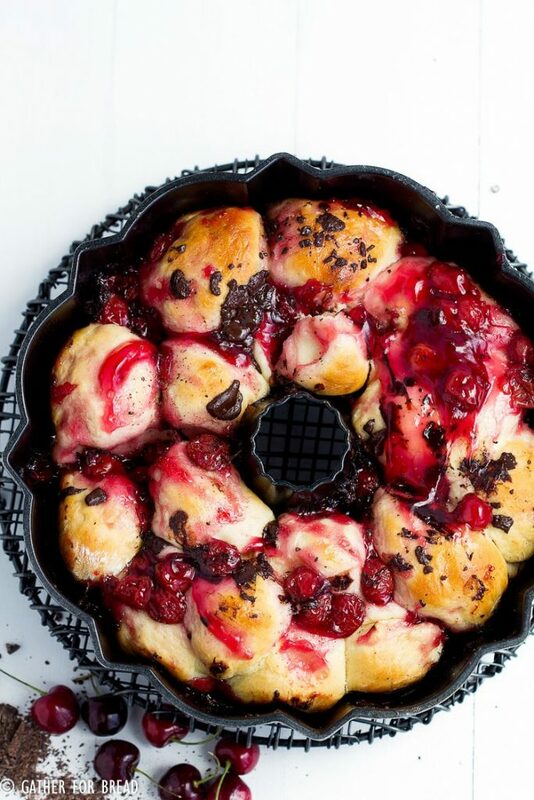 Raspberry Chocolate Chip Monkey Bread: Loaded with fresh raspberries, and melty chocolate chips. 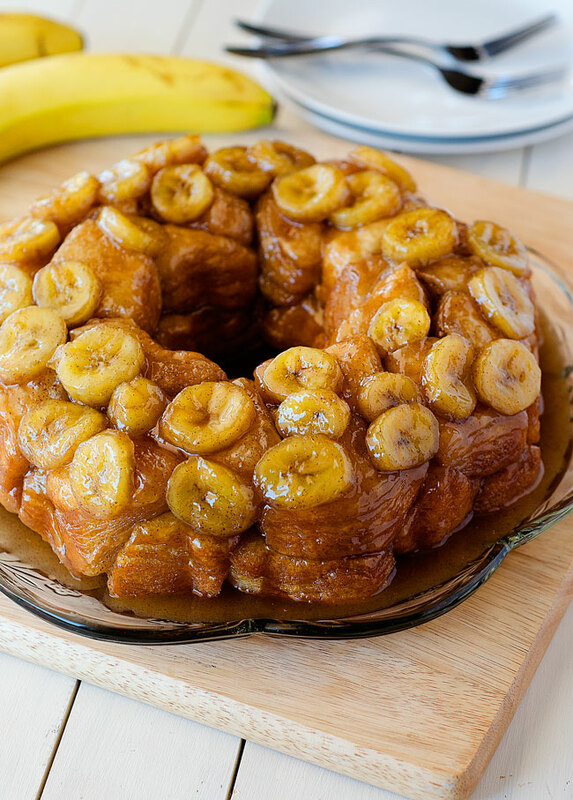 Dessert recipes for monkey bread! 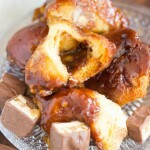 Snickers Monkey Bread: The ultimate monkey bread recipes involve filling each piece of dough with a candy bar. 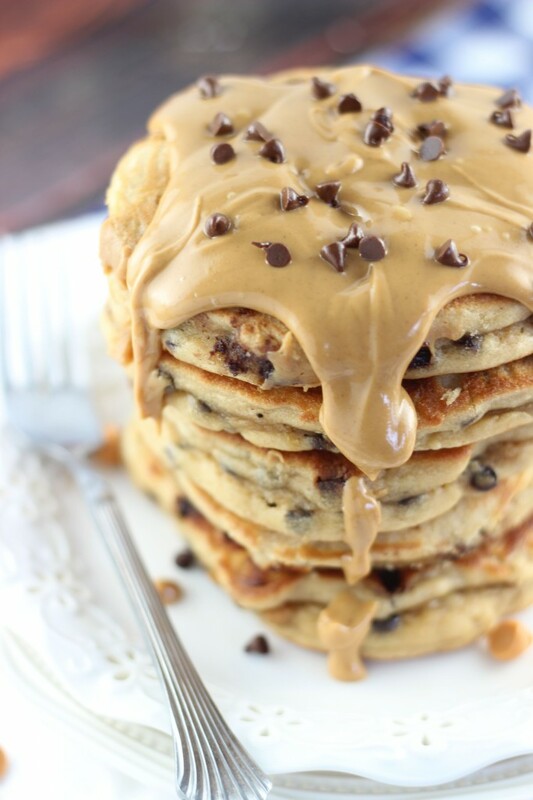 This is chocolate, caramel, and peanut heaven! 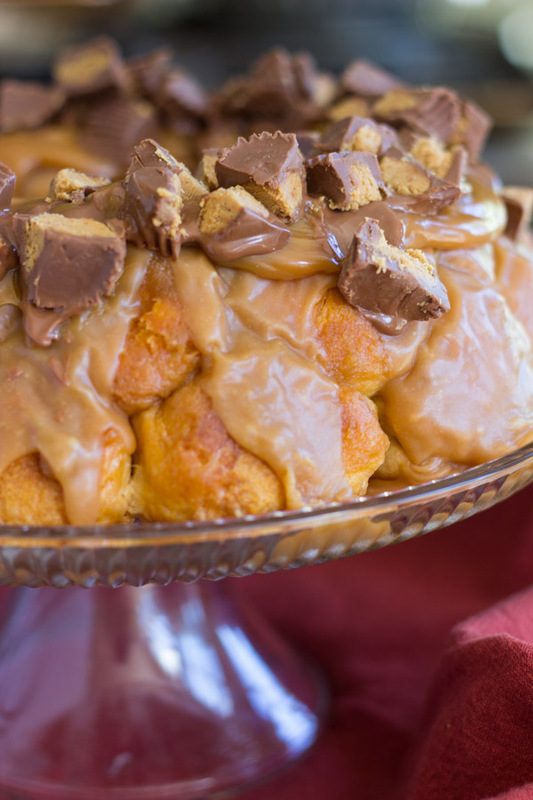 Reese’s Peanut Butter Cup Monkey Bread recipe: With a mini Reese’s cup inside each bite of monkey bread, and drenched in peanut butter glaze, the decadence is unmatched here! 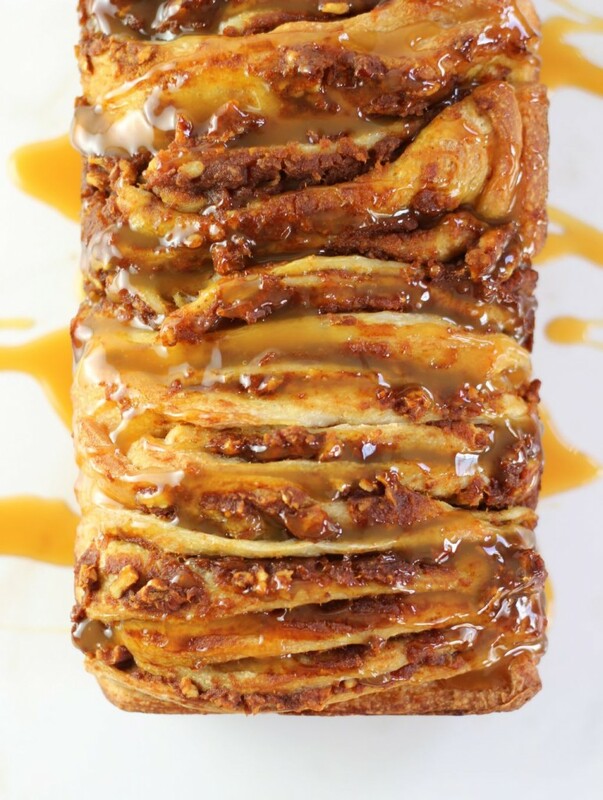 Rolo Monkey Bread: Talk about ooey-gooey. 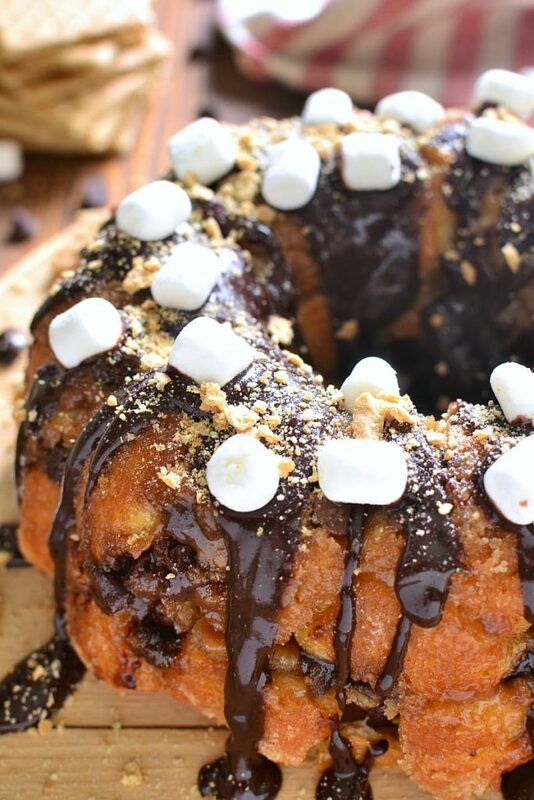 S’mores Monkey Bread: It has chocolate, marshmallows, and graham cracker crumbs, baked right in. 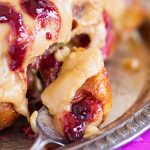 Chocolate Cherry Monkey Bread: With cherry pie filling and chocolate chunks, I love this classic combo of flavors. 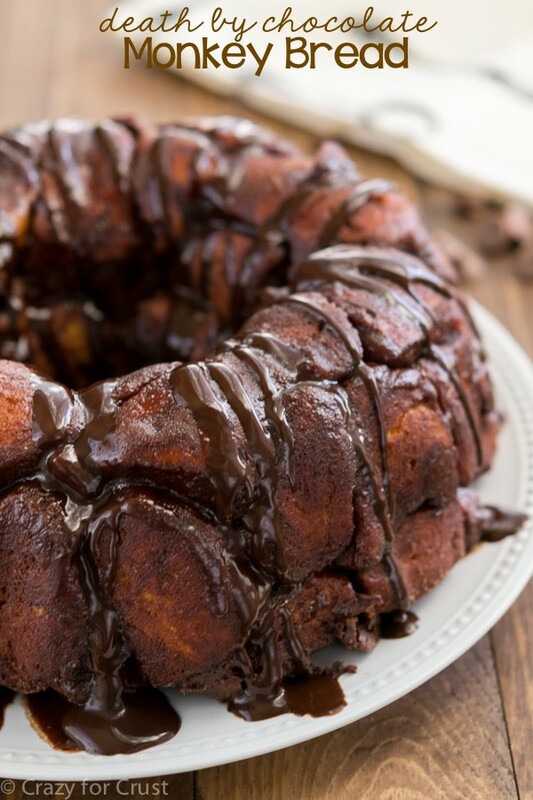 Chocolate Monkey Bread: Chocolate sinfulness abounds! 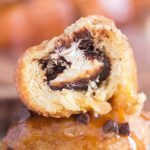 Nutella and Cream Cheese-Stuffed Monkey Bread recipe: Say no more… the name tells me everything I need to know. And honestly, it had me at ‘Nutella’. 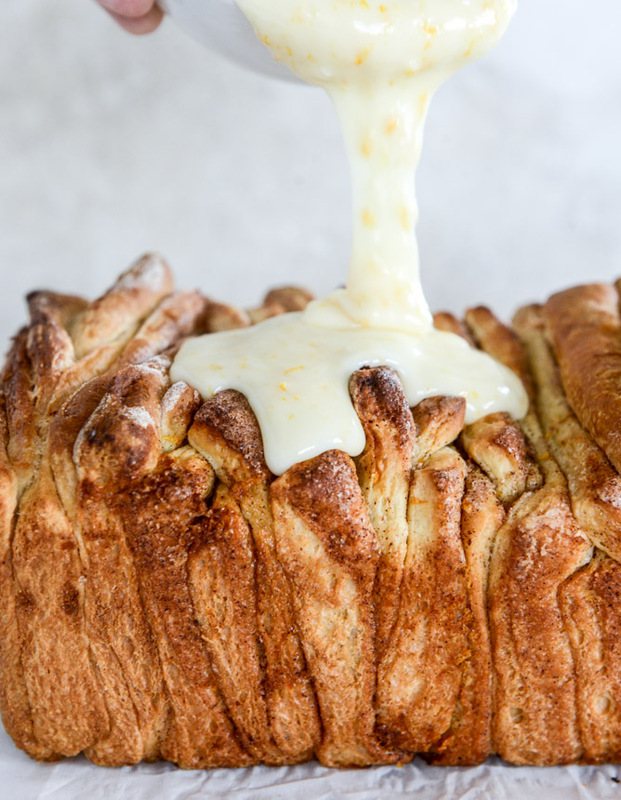 Pumpkin Spice Monkey Bread with Cream Cheese Glaze: There is not one crevice of this monkey bread that isn’t coated in pumpkin spice or glaze. WOW. 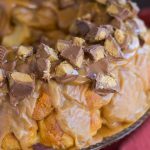 Slow-Cooker Pumpkin Monkey Bread: This is my speed because I want to make as many things as possible in the slow-cooker, and does a person ever really have enough pumpkin recipes? Nope. 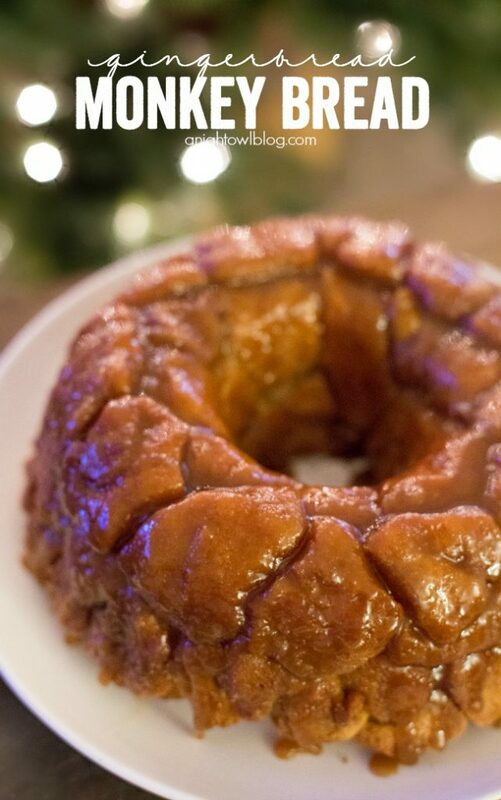 Gingerbread Monkey Bread: Whaaaat? Genius. This is SO happening at Christmastime. I’m anxious to make it now, and it’s June. 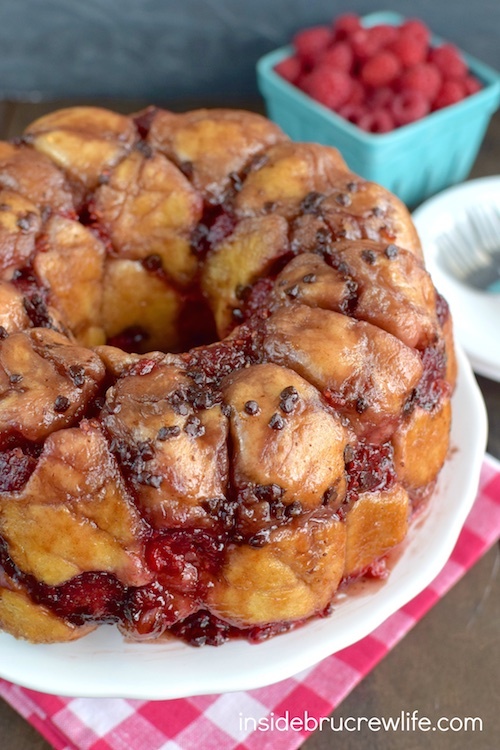 Cranberry Orange Monkey Bread: For the holidays, this is the most perfect flavor duo! What gorgeousness for Christmas brunch. 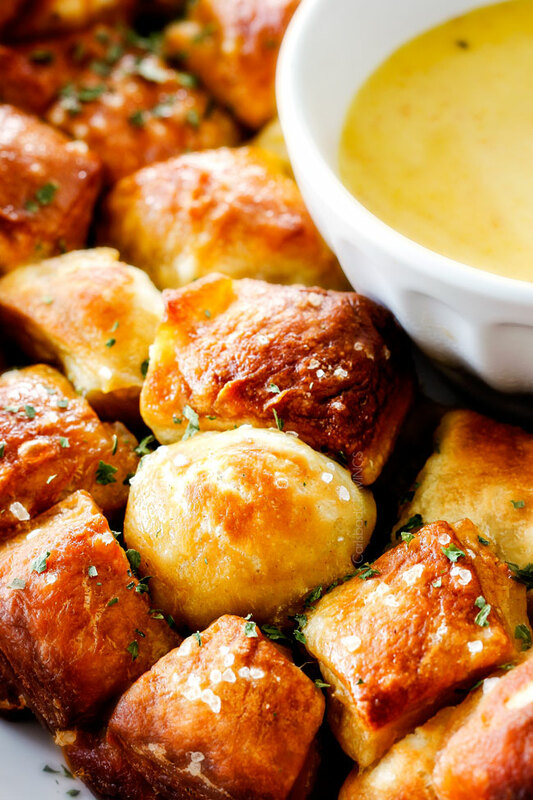 Pretzel Monkey Bread with Honey Mustard Dip: I’m losing my mind over this recipe! You guys know I have a serious soft spot for all things pretzel. Isn’t this brilliant? 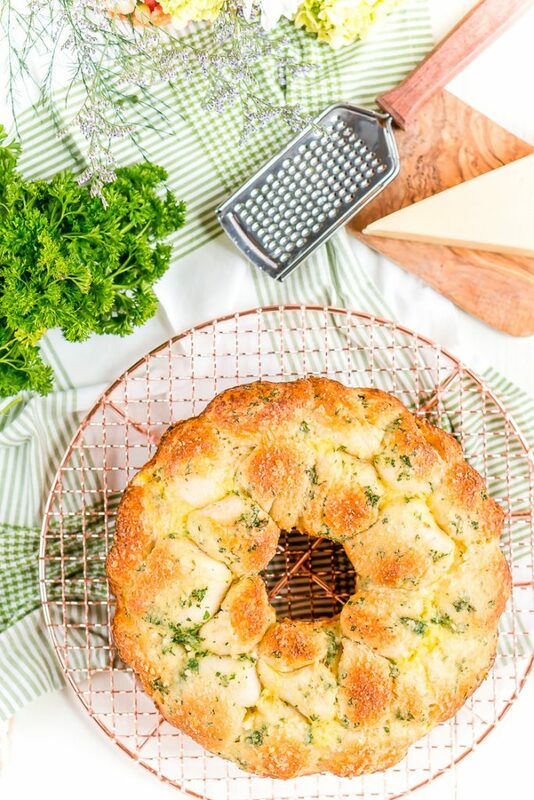 Savory Monkey Bread: One of the prettiest recipes of the bunch! Look at all the different colors. 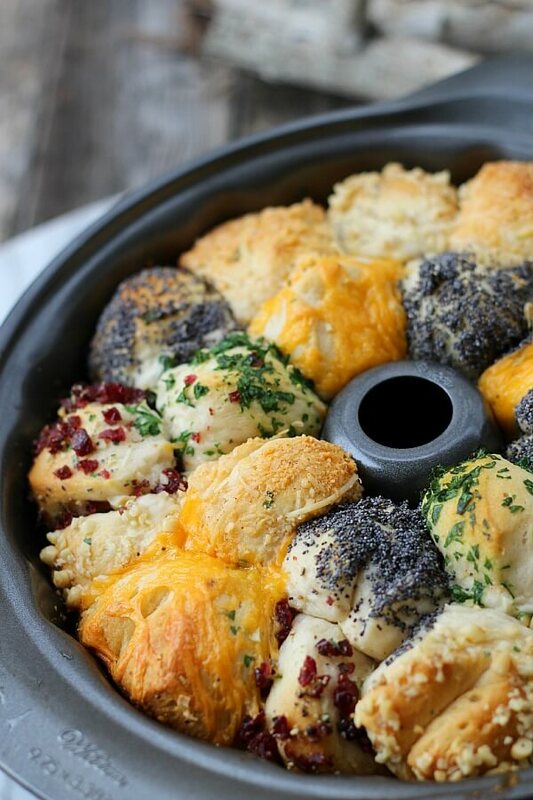 Garlic Parmesan Monkey Bread: Cannot go wrong here. Garlic and Parmesan belong together, and they belong together with bread. 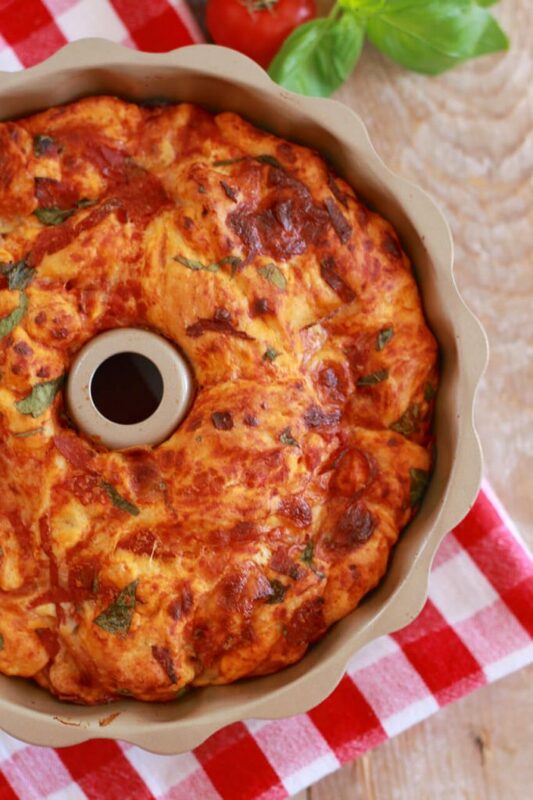 Pizza Monkey Bread: It’s made to tear & share, but you won’t want to. What’s your favorite? Which ones do you have to make right.this.second? How about all of them! 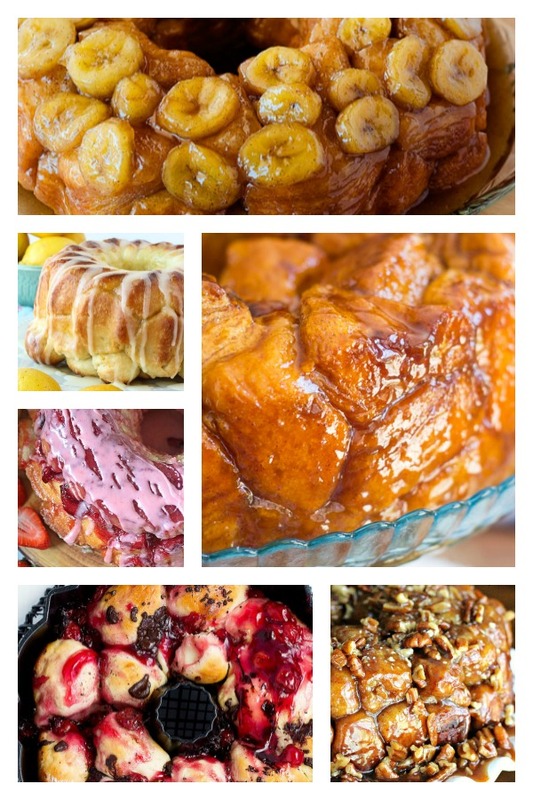 I seriously can’t choose, but I’m so happy to have this ultimate list of easy monkey bread recipes! It seems very delicious in picture. 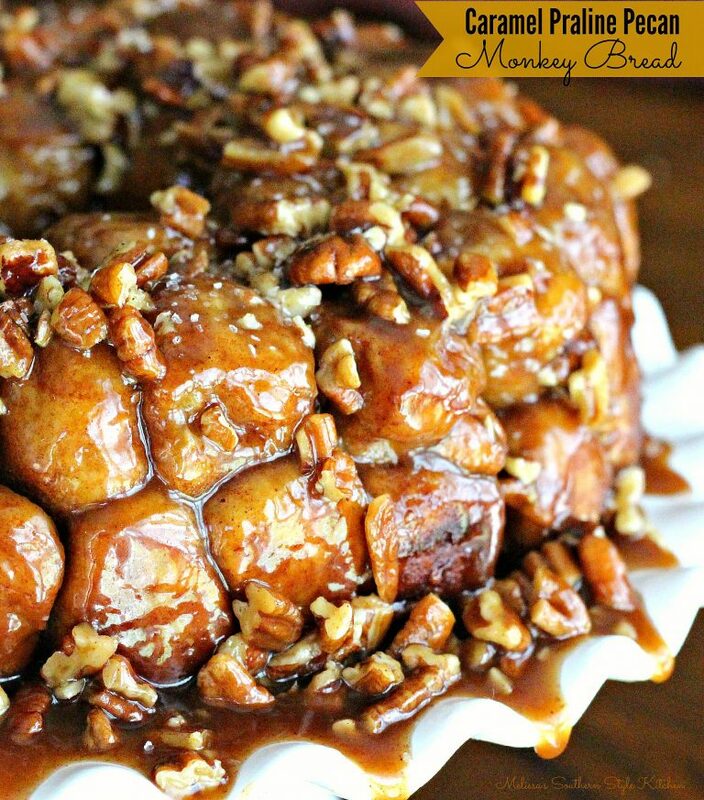 20+ monkey bread recipes making for the pet monkey.